Yaya Toure set for Premier League return? Former Manchester City star Yaya Toure is reportedly keen on pursuing a Premier League return after terminating his contract with Greek side Olympiacos earlier in the week. Toure had been a free-agent following the expiry of his contract with the Citizens last summer before he decided to seal a reunion with Olympiacos. However, he managed only five appearances for the Greek heavyweights thereafter and on Tuesday, Olympiacos confirmed that the veteran had mutually agreed to part ways with the club. According to Sky Sports News, Toure is expected to arrive at his family home in London later in the week before opening up discussions with interested Premier League sides. The reports claims that the Ivorian star has already snubbed big-money moves to China and the MLS in order to place his entire focus on sealing a return to the top-flight. 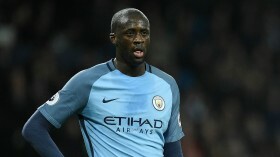 Toure had been linked with both West Ham United and Crystal Palace earlier in the season and the latter, in particular, could re-enter the fray to sign the Ivorian next month.